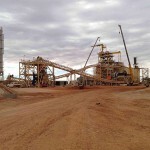 Gold miner Regis Resources has delivered record production at its Duketon operation in Western Australia’s Goldfields for the third consecutive quarter. Duketon’s output reached 92,113 ounces (oz) in the December 2017 quarter, up slightly on the 91,921oz recorded in the previous three-month period. Regis’ quarterly all in sustaining costs (AISC) of $855/oz were well below the lower end of its cost guidance of $940–$1010/oz. The company’s first half gold output of 184,034oz at $858/oz puts it on track to achieve the mid to upper end of the annual production guidance of 335,000–365,000oz, while also at the lower end of its cost guidance. In the December 2017 quarter, Duketon Northern Operations (DNO) produced 28,596oz of gold at $661/oz. 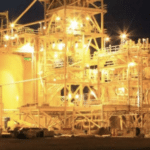 “Production was 7 per cent lower than the September 2017 quarter due to slightly lower throughput and grade from the Gloster deposit,” the company said in an ASX announcement. Regis’ Duketon Southern Operations (DSO) produced 63,517oz of gold at $943/oz in the December 2017 quarter. 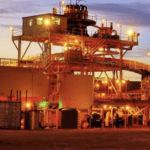 “DSO gold production was 4 per cent higher than the previous quarter with slightly better throughput and incrementally better grade as a result of slightly higher grade mined at the Rosemont and Erlistoun pits,” Regis added.